Leo Club of St. George’s receives donation of paint from Huggins Colour World for Tunnel Maintenance Project. During the Easter Weekend, The Leo Club of St. George’s undertook its ‘Tunnel Maintenance Project’. 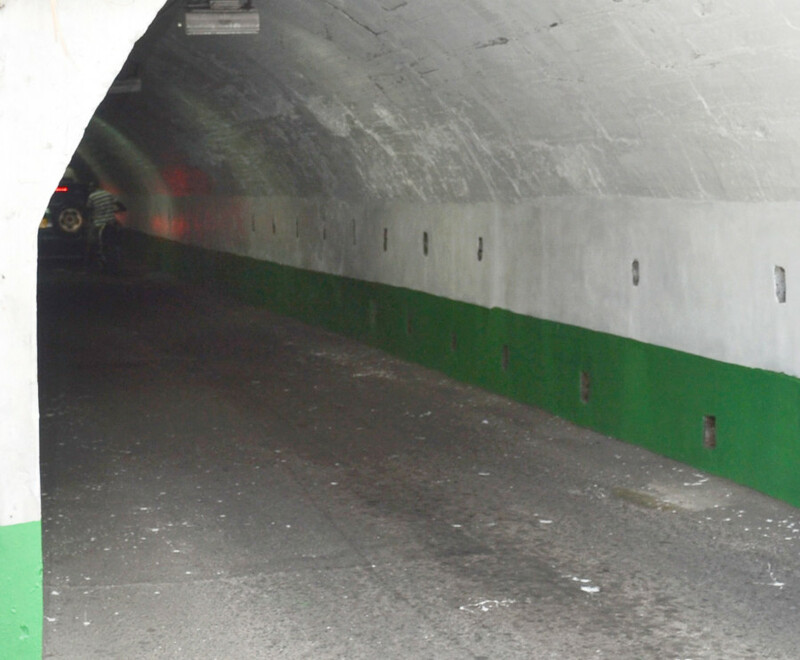 Persons walking or driving through the 340 ft long tunnel which was opened in the 18th century will notice that the tunnel received a facelift. Mr. Lingham Samuel, Huggins Colour World Manager stated, “Our Company is the local representative for Berger, a leading green manufacturer of paints and we were happy to assist the Leo Club with maintaining the Sendall Tunnel, a treasured historic landmark and significant contributor to the town’s rich and unique heritage. Geo. F. Huggins & Co. (G’da) Ltd. commends the Leo Club of St. George’s on their continued maintenance of the Sendall Tunnel among other valuable projects.